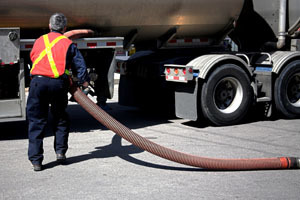 Whatever your liquid sanitation needs, Gordon’s Sanitation Services has a solution for you. We provide a variety of services for farm, residential and commercial customers in the Yorkton area. Call today to make your farm, home, or business the cleanest and most efficient around. How long has it been since you’ve cleaned out your septic system? It is recommended that you pump your system every three to five years; more often if you have a smaller septic tank or high occupancy. 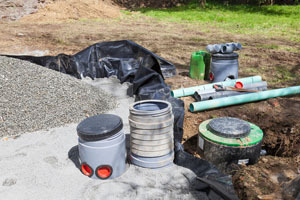 We will pump out your septic system to maintain the health and comfort of anyone in your home or business. Watertight or seepage cesspools are no problem for our professionals. We will handle any waste problems so you don’t have to. Make sure your cesspools are treated and cleaned regularly to avoid the smells and complications that come from neglect. If you have a cesspool in need of care give our wastewater experts a call today. If your home has a cistern and you aren’t regularly treating and cleaning it you are probably noticing sludge and other buildup. We can take care of that for you and make sure your cistern is operating at peak efficiency. Gordon’s Sanitation Services can help you maintain the quality of water in your shallow wells. 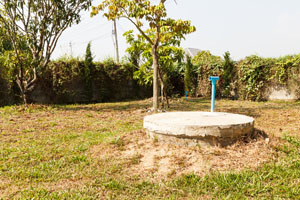 Shallow wells are prone to seepage. This is especially prevalent in hand dug wells. Take care of your water wells with maintenance services from Gordon’s Sanitation Services. Care for your home or business by trusting the experts at Gordon’s Sanitation Services. Call today and we will make sure that your system is working at efficiently so you don’t have to worry.